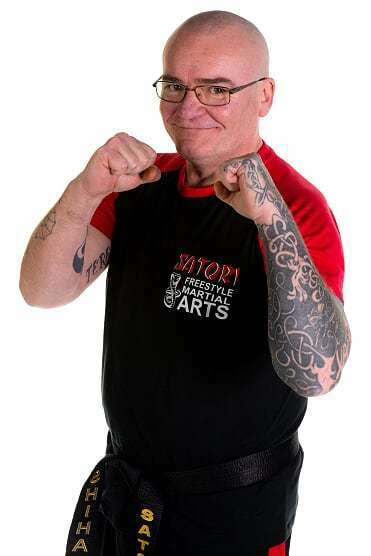 Welcome to Satori Freestyle Martial Arts. I have studied various disciplines in Martial Arts. The aim was to develop a unique style that will continue evolving to meet the needs of an unforgiving world. We are committed to every student's personal development. We welcome students from the age of Four and above, and we have a varied selection of classes to suit everyone. We offer a varied syllabus of Pad Drills, Combinations, Sparring, Cardio, and Self Defence. We encourage semi contact sparring for level two students and upwards. Both Adults and Children can take part. Family is very important to Satori, and Adults and Children work side by side learning the same techniques and disciplines. "Committed to changing lives through Martial Arts and development"